On Level 1-4, you are given 4 Luke Skywalkers. Those are the normal red birds. The red birds don't do much but be launched. You need to take out 4 pigs. There are 3 Sand Pigs in one building. The three are in the back structure. There is one Sand Pig in the front structure. In order to get 3 stars on level 1-4, you need to shoot at the second structure. There is a small pig hiding next to some wooden blocks. If you shoot at the wooden blocks, you should be able to knock down the structure. Knocking down that structure will hit the TNT and knock over the second structure. 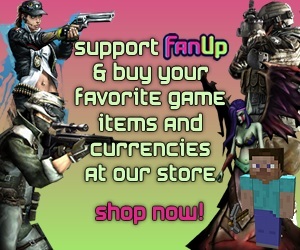 Thus, giving you a win! You should get three stars. The score that I got was 59,580. This gave me three stars to finish the level. Remember to aim for the top wooden block. The top wooden block should give you the win and adding another three stars to your collection. Remember to try only using one Luke Skywalker. Now, we are onto Tatooine level 1-5. Towards the very beginning you are shown a picture of Luke Skywalker on the ground with a bird in black standing behind him. I believe the black bird is Obi-Wan Kenobi. Obi-Wan Kenobi can use the 'force' in air. Once you launch the bird, you can press the screen. Where ever you press the screen, there will be a force of air shooting through the structure. The structure should fall and you should become victorious. For level 5, you are giving 4 Obi-Wan Kenobis. This is more than enough to take out your enemy, the sand pigs. There are 4 sand pigs on level 5. The sand pigs are on each of their own little pillars. There is a tall structure blocking the pillars. You can launch one Obi-Wan Kenobi at the first structure. Once you are close enough to the structure, you can press near the pillars. This will start the force and knock the blocks from the structure flying. The flying blocks will more than likely hit the pillars and send the Sand Pigs flying! In this strategy I got a score of 59,130. This gave me 3 stars. Thus, adding another 3 to the overall Tatooine score for stars. We now will be on to level 6 on Tatooine. There is a new type of pig in this level. The new pig is called a Pig Trooper. They are like the clones in the real Star Wars movies. The Pig Troopers look different than that of the Sand Pigs. You start with 4 Obi-Wan Kenobis and there are 3 Pig troopers. Two of the Pig Troopers are in the same structure and there is another Pig Trooper on it's own structure behind the other Pig Troopers. Your job is to launch Obi-Wan Kenobi at the first Pig Trooper. Right when you are basically touching the Pig Trooper, use the force of Obi-Wan Kenobi. This will knock over the structure. Thus, you will become victorious and win because it should knock the structure over onto the Pig Trooper on the other structure. The score I got was 61,330 and it earned 3 stars. This is a pretty good score and giving me another 3 stars adding onto the Tatooine star count. 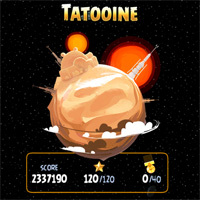 That's the end of this walkthrough of Tatooine levels 1-4 through 1-6! Sure hope this helped you get 3 stars in each of the levels. You should be up to 18/120 stars in Tatooine as of now. This is spm8675309!